Never talk about Penguins in front of a Puffin. Puffins think Penguins are over-represented in the media, and especially despise the ‘Happy Feet’ franchise. Despite being called “pufflings”, their baby Puffins are super vicious, and would bite your fingers off given the chance. 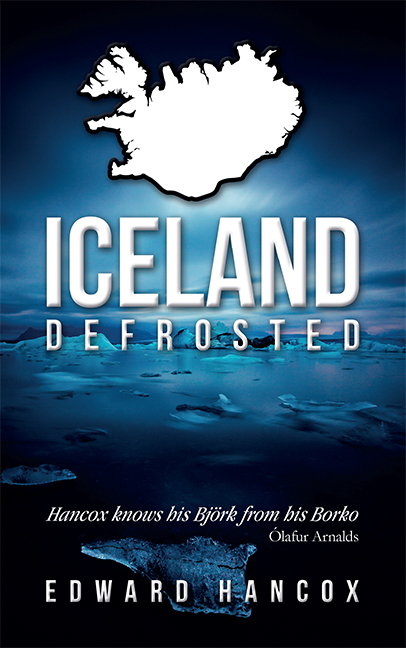 Several high profile Icelanders have missing fingers as a result. Puffins often lay eggs covered in a Tartan pattern. This can occur whether or not they have been to Scotland. Puffins are suckers for sushi, but they don’t cope well with chopsticks. Puffins have been known to swarm and kill large dogs. The world record for freestyle underwater long jump is held by a puffin who retired undefeated from the sport in 1973. A left-handed (or -winged) puffin will fly with a slight list to starboard. 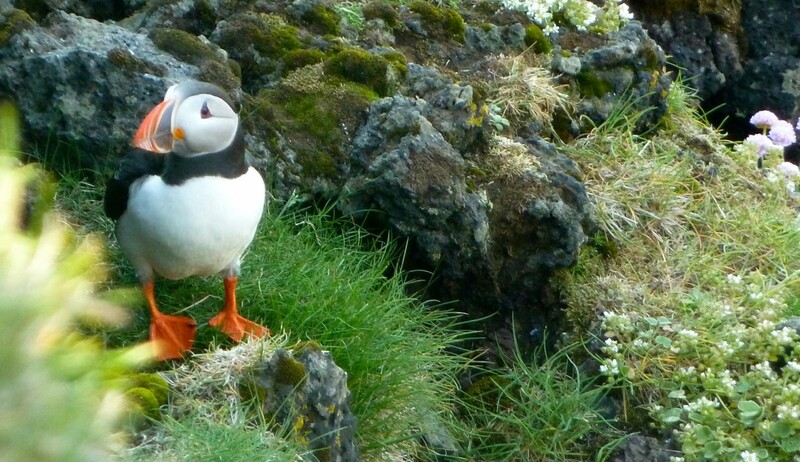 Iceland is home to 320,000 people and about 10 million puffins. For that reason puffins dominate Icelandic politics. In the days before television, families used to gather together around the puffin at night for entertainment. Puffins are rubbish at Twitter. They never follow back. 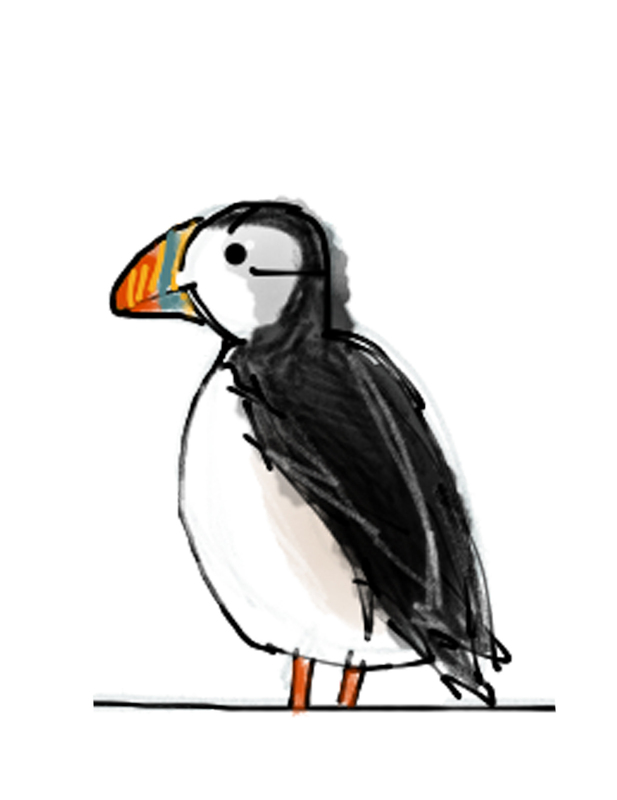 Puffins can dive to depths of 200 feet, but these days they can get muffins from local stores, so they don’t have to. Don’t cut the tag off your new puffin. It voids the warranty. If you play The Beatles “Sgt. Pepper” album backwards, you can hear a female puffin mating call. Puffins are often eaten with blueberry jam in Iceland. As a consequence, a puffin will always urinate on every blueberry bush they see. After James Garfield’s 1881 assassination, a puffin served as US President for 14 hrs until Chester Arthur could be sworn in. Don’t upset the puffins. The seabird mafia has a long memory and an even longer arm. Well, not an arm, a wing. In the 1980′s, attempts were made to farm Puffins, but they proved too hard to herd, despite the use of specialist dogs. Puffins have a vocabulary of several thousand words. To the untrained ear they all sound like “caw”. Liza Minelli was once married to a puffin. Puffins have been known to hunt sharks for sport. Other than those that are asthmatic, puffins barely ever ‘puff’. They exhale silently. If you listen to a puffins calls backwards, you can often hear the opening bars of ‘Stairway to Heaven’. Puffins prefer Cornetto as their ice-cream of choice, citing the chocolate in the cone as a reason. A Puffins beak can change colour in sunlight; this is where the technology for Global Hyper-Colour t-shirts in the 1980′s was found. 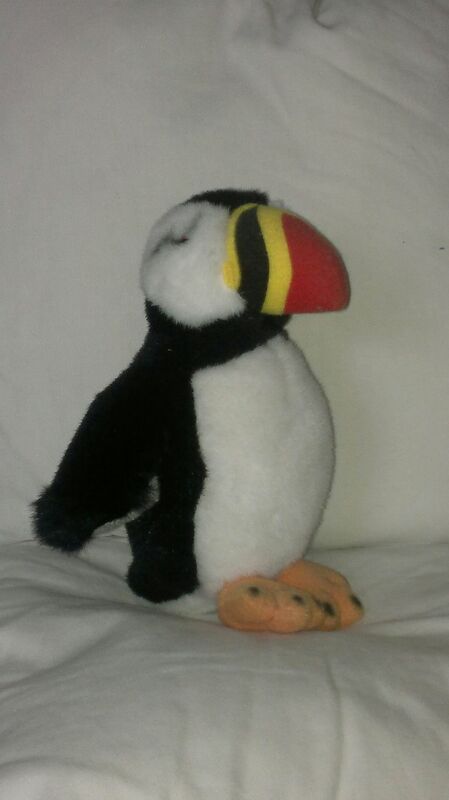 Puffins were used in Guinness advertising campaigns long before Toucans got involved. Toucans charge substantially less. Security firm G4S did consider recruiting Puffins to provide security at London 2012 Olympics, but Police and Military have proved more reliable. When Bez temporarily left the Happy Mondays, a Puffin took his place, until Shaun Ryder eventually found out. Most people believe that there wasn’t a Glastonbury Festival in 2012. There was, but it was just for Puffins. All puffins are allergic to peanuts. Puffins are good at the majority of team sports, but excel at Cricket. One day internationals are their preferred format. A group of Puffins are supporting Sigur Rós on their upcoming world tour. Puffins take it in turns to pose for tourist’s photos. During the busy summer months, there is a three day on, two day off shift pattern. Puffins are highly allergic to beetroot, which can make their entire beak turn purple. Puffins are notoriously hard to track, as they have been known to remove tracking devices and reattach them to the less intelligent gull species. Puffins can walk before they even hatch from eggs. This can lead to eggs turning over and over in nests, with a baby puffin pedalling away on the inside. In Germany, Puffins have long been used to serve beer at beer festivals. A Puffin once wandered into the BBC newsroom by mistake, but was interviewed about politics anyway. Eating a Puffins heart can extend your life by five years. However, eating a Puffins liver can take up to fourteen years off. In North America, Puffins have taken to hiding in mugs in work places, only popping out when lifted by the user. This causes much distress to the mug user, but causes great delight to Puffins, especially those observing. Puffins strongly believe that Breakfast is the most important meal of the day, and often have breakfasts instead of lunch and dinner. Puffins have a trace of Vodka in their blood to prevent freezing in the winter. Puffins do not require Passports, but have them anyway. The phrase ‘rarer then hen’s teeth’ should actually be ‘rarer than Puffin’s teeth’. Neither actually have teeth. Puffins cannot recognise their own reflection. This is to prevent them from becoming vain. Due to the precarious places in which they live, all Puffins are routinely trained in Search and Rescue techniques. A Puffin from Iceland gave Damon Albarn the idea for his Gorillaz project. The tears of a Puffin can heal numerous diseases and disorders, but this information is suppressed by global pharmacy companies. The Arctic Monkeys were originally named The Arctic Puffins, but after an acrimonious copyright battle with some actual arctic puffins, the band were forced to change their name. The rare Shortarsed Puffin, which is only half the size of a regular Puffin can only been found in Kolbeinsey, North Iceland. If you count the lines on a Puffins beak, this has absolutely nothing to do with how many years old they are. Andrew Bird, the singer/songwriter, actually uses a stage name. His real name is Andrew Puffin. There has never been a Puffin Muppet. Puffins are slightly miffed about this. Puffins will leave their nests for the sea all on the same day in August. This day is decided upon by the Puffin Elders Committee (PEC). Italian bakers have historically used Puffins to knead pizza dough with their large feet. They are excellent at this; both gentle and firm at the same time. In the 1990′s, Icelandic electrical sockets were redesigned to prevent Puffins from placing their beak into them. This followed several tragic incidents. Bonfires, or any sort of outdoor fire, should be checked thoroughly for errant Puffins before lighting. Puffins are excellent underwater swimmers, and are better than some species of fish. Puffins are actually closely related to the Common Woodpecker. The Icelandic flag is the only national flag to carry an image of a Puffin. It’s in the top left if you look very carefully. Puffins are known to be prolific writers in their spare time – in fact, a team of two puffins are running this blog.